Stage and film performer and South Coast Repertory Founding Artist Hal Landon Jr. will be coming to Golden West College as a visiting guest artist from May 1 – 4. Mr. Landon will be working with selected Theater Arts department students in five acting classes over the course of a week. Mr. Landon will provide critical response and direct feedback to scene study work as performed by Theater Arts department acting students currently enrolled in classes taught by professors Tom Amen, Martie Ramm Engle and Rory Cowan. The exploration of the fundamentals of acting and scene study in a warm and welcoming environment will help student actors feel more confident and creative. Stage and film performer Hal Landon Jr. has starred as Ebenezer Scrooge in South Coast Repertory’s annual production of Dickens’ A Christmas Carol for over 37 years. In fact, he has only missed three shows in 37 years and has missed the iconic “hat trick” only once which caused him to stop the show long enough to try again and succeed. Throughout the United States, he has appeared in stage productions of American Buffalo, Glengarry Glen Ross, A Midsummer Night’s Dream, Tartuffe, The Tempest, Uncle Vanya, Waiting for Godot, Peter Pan, Private Lives, Twelfth Night and Amadeus…just to name a few. 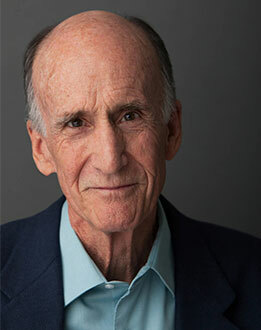 Hal Landon Jr. has appeared in many motion pictures including Bill & Ted’s Excellent Adventure and Bill & Ted’s Bogus Journey. His television credits include guest starring roles in Cheers, Frazier, CSI: NY, Newhart, Murphy Brown, The Closer and Mad Men amongst many others. Mr. Landon’s appearance is sponsored by the Coast Community College District Foundation Faculty Scholarship awarded to Theater Arts department chair, Martie Ramm Engle for the benefit of Theater Arts department acting students. Golden West College students, faculty or staff interested in observing Mr. Landon during his week-long visit should contact Martie Ramm Engle at mrammengle@gwc.cccd.edu. Information about the Golden West College Theater Arts department can be found at www.gwctheater.com.